What a great name Wu De and associates have chosen for this month’s tea. The gift from Global Tea Hut this December is a bit of loose Spring 2007 Shou Puer they call “Old Man Camphor” (老夫樟 or Lǎofū Zhāng). Earthy and with a wonderful aroma. Just by the smell it makes me think of some really great old Sheng (生 or raw) Puer that I’ve had in the past, but those teas were all more than 10 years old and this is a blend from only 2007. It’s rare in my experience to find such delicious old-book notes in a Shou (熟 or ripe), so I’m very pleased to have this in my cup. 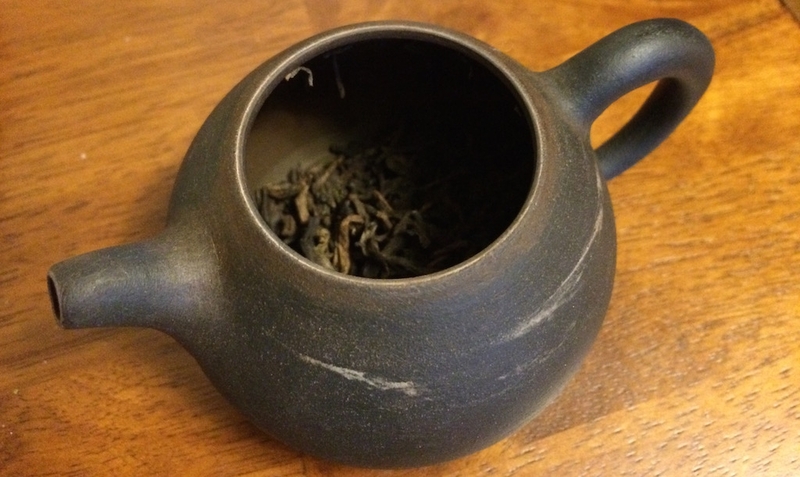 The closest Shou I can think of is the 1998 Xiaguan from Camellia Sinensis, but this has some characteristics that are unique. The mouth-feel of those old Shengs was leathery and dry, but Old Man Camphor is quite smooth and clean feeling on the tongue, which is not a judgement on the quality of either tea, only a comment on the differences of the experience which I find fascinating. When drinking this tea I feel my mind transported to a far-away oak grove, surrounded by ancient trees and stacks of drying lumber. The scent of woodsmoke floats around my nose, a delicate reminder of a warm glowing fire that keeps out the chill of winter. I can almost feel the snow in the treetops. This image is appropriate for the region of Northern Vermont where I live and the brisk time of year, and so nature complements my tea. Or perhaps my tea complements nature. Either way the experience evokes a harmony in my thoughts that is sorely needed. The Global Tea Hut magazine this year is filled with wonderful writing and tea knowledge as usual. Besides a very good discussion of the processing of Shou Puer and the ten factory leaf grades (which layers nicely on their previous Puer special edition), there are some really inspiring poems in the margins. The accompanying stories of the Tea Hut crew’s adventures through Europe are inspiring and make me want to host more tea gatherings myself! But enough analysis. As Wu De is quoted as saying at a tea gathering in the last article, “[this] is the tea we are having in this moment.” Be here with your cup (whatever it may be!) and enjoy. I’ll be here with mine. 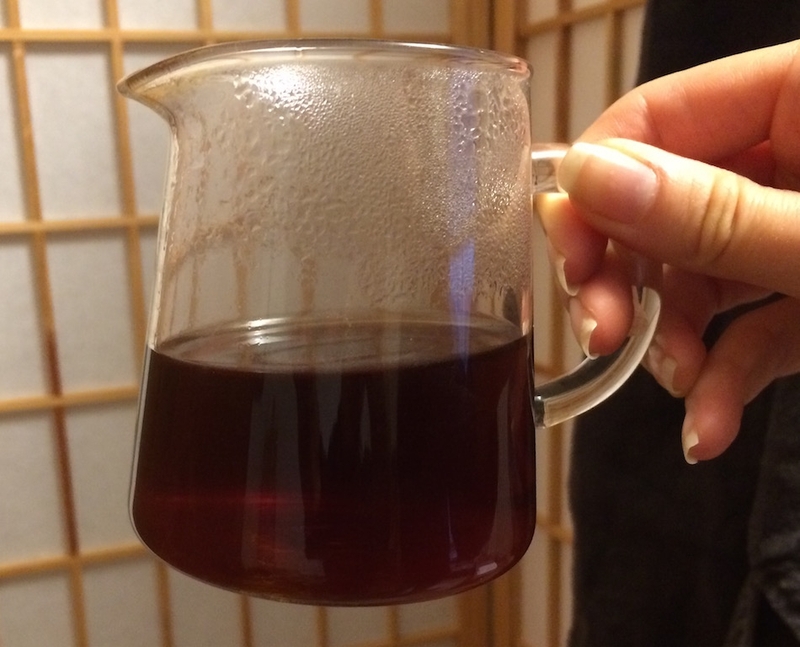 This entry was posted in Tastings and tagged globalteahut, puer, shou on December 4, 2014 by payton.